“This year 2019 has been off to a great start after discovering “Love’s Pure Light Luxury silks Canada”, Cydney Mariel Galbraith and her incredible hand painted promise inscribed silks! I stumbled upon one of Cydney’s silks while a friend and I wondered in a spa boutique in Palm desert, CA and my friend bought the last one! I thought it was the most beautiful and unusual scarf I had ever seen! Determined to find one I inquired who the artist was and kindly the manager gave me Cydney’s website and Cydney and I emailed several times as she guided me to the perfect silk to match a dress for a special occasion. However, I loved so many of her creations and just wanted to fill my room with these silks! I can feel the love and energy that goes in to the making of the silks. And a special poem and love letter from Cydney’s heart is included with each shawl! Fortunately with Cydney’s expertise I ended up with four incredible and gorgeous silks! In the meantime I tell everyone about “Love’s Pure Light Luxury silks Canada” and suggest they buy at least one of these silks. I know they will bring you so much joy as the energy radiates through Cydney who is a being of pure light! "If I have not your love I am nothing. If I haven't learned to love then I am nothing"
This luxury silk was more than a gift from above, the promise inscribed touched me more than the gift itself, as I have only truly learnt to love this past year! Now when I wear it, its like a cloak of pure promise. I'm walking in love, I'm giving love and I'm finally receiving love! Keep your love "on" at all times! Find your hidden promise inscribed on your own unique luxury silk garment that is just for you!The Promise: If i have not your love. I am nothing. Being clothed in love is all the world needs! 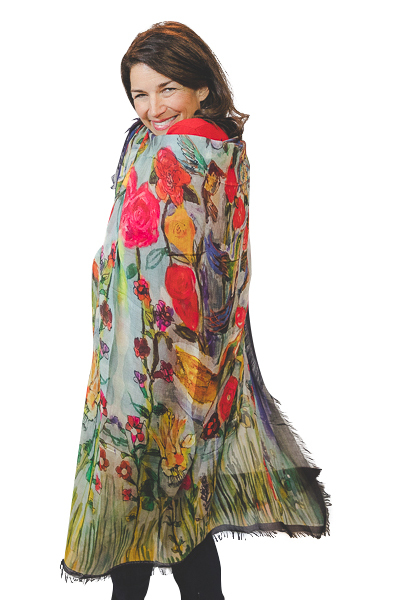 Angelica is modeling the "Everlasting Covenant" Luxury silk shawl. "I was introduced to Love's Pure Light Luxury Silks at Ascend Conference for Remarkable Women conference in Studio City, California where Designer Cydney Mariel Galbraith was speaking at. I was immediately touched by her pure heart and prophetic spirit. That drew me to look at her beautifully inspired creations on her silk fashions of Pure Love. My wardrobe is very simple, yet people say that I’m the absolute fashionista—the secret is silk scarves and Flaneurs. 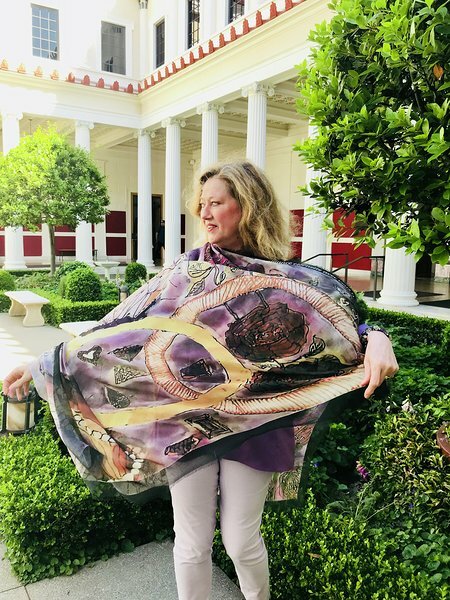 Of all my scarves, my favorites are the silks of Love’s Pure Light luxury silks because of the fine quality of her luxury hand-rolled silk and the symbolic colors of her inspired hand-painted designs. What makes her scarves especially meaningful to me is that when I wear them, I know that I’m covering myself with eternal promises from the Almighty. By wearing Love’s Pure Light luxury silks, I become one in agreement with the Spirit of truth, and I am reminded of my true identity and value. 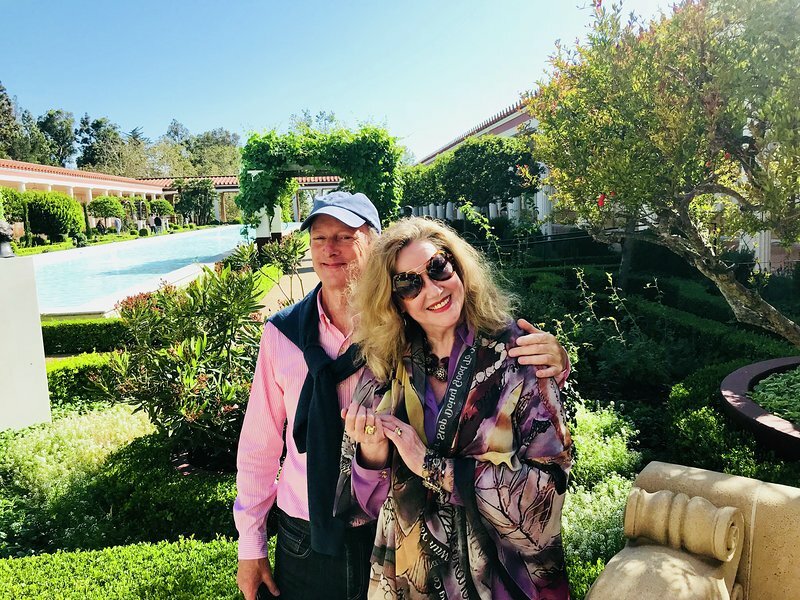 I am truly empowered by promise, which are artfully hidden on all of the luxury fabrics Cydney designs .Therefore, my Love’s Pure Light scarves will remain my most precious possessions in my high-end designer scarf collection. Tel Aviv Israel two incredible sisters from Holland in our Luxury Shawls. One of our very special business partners with Love’s Pure Light luxury silks Canada received her Citizenship yesterday! We welcome you Sarah into Canada from the United Kingdom! What a blessing to have her wearing her luxury Canada leaves of our tree luxury shawl this monumental day saturated in PURE PROMISE! Thank you Lord for making your promises shine! “I just purchased your beautiful silk fresh and green love machine piece at the Banff Springs Hotel last weekend while at a conference. TOTALLY LOVE IT! I have been a minimalist wardrobe person for many many years (neutral colours with interest from textures etc) with blacks and creams etc. Recently I have been more involved with teaching at the University of Saskatchewan and as such, thought I would embrace a tiny bit of green so I can best represent my alma mater. 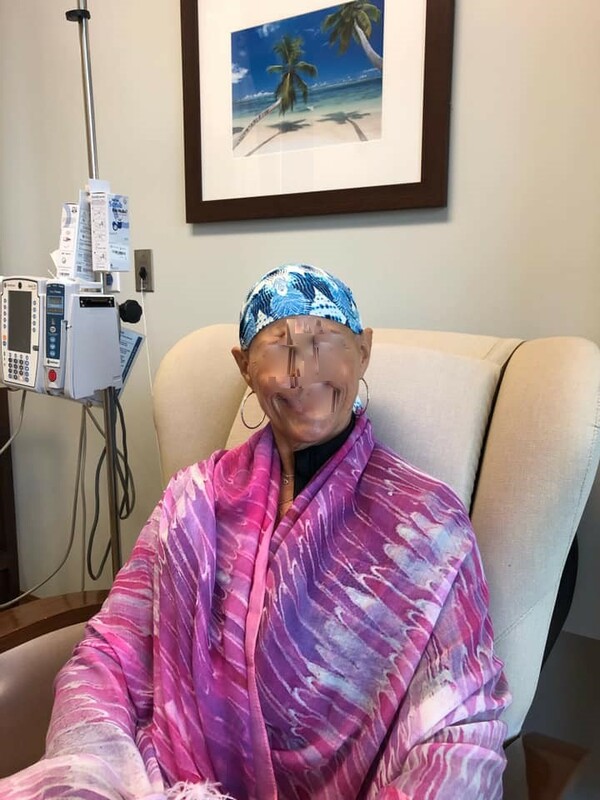 I was introduced to your lovely silk scarves during the Black Diamond Light Up event, when I was touring around shops with my daughter and granddaughter recently. We popped into Lori's Looking Glass for a peek and Lori showed me various scarves she had available in her store. I loved them immediately! We corresponded about one, WHERE YOUR TREASURE IS THERE YOUR HEART WILL BE ALSO, pure silk, and I purchased it on a return visit the next Saturday. Your words reflect where I am in life and the trust required to know that we are loved and not to worry about the future. I am at a crossroads of where do I go next and am learning to put my trust in not only the universe but myself as well.